In 2016, travellers voted it the fifth most beautiful beach in Sardinia and the first in the province of Oristano. It is largely devoted to cats. Su Pallosu is one of the gems dotted along Capo Mannu, the northernmost part of the Sinis peninsula and of the marina protected area in which it is preserved. It is part of the territory of San Vero Milis, which is twenty kilometres away. It is very well-known because there is a feline colony behind it, where cats live and are taken care of and where guided tours are organised. 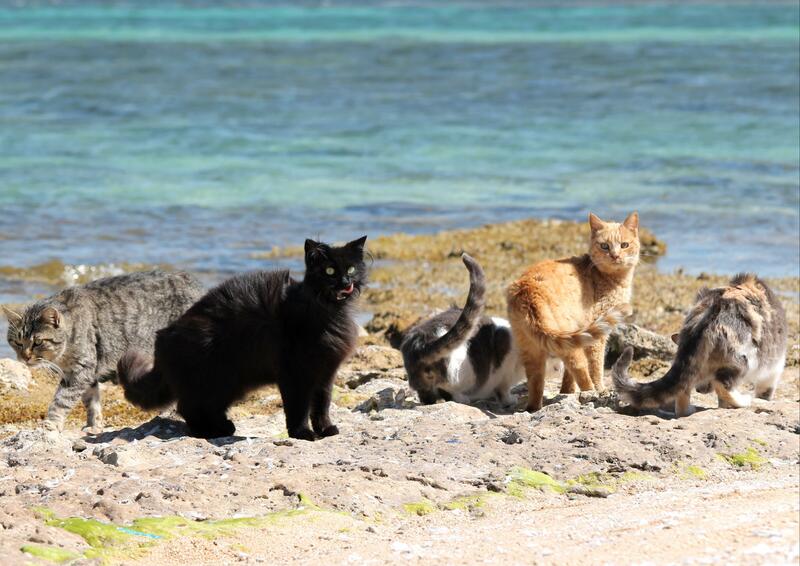 The felines, whose presence dates back to the 20th century, often venture onto the beach: these cats are not afraid of going for a dip in the sea. Su Pallosu is a thin strip of land with a seabed of golden and ambre-coloured medium-grain sand mixed with a few pebbles, hidden in a little cove and protected by a high barrier of earth behind it. It is washed by a transparent, crystal clear sea with iridescent green shallow waters and a sandy seabed. To the left, you can bathe in beautiful natural pools between the rocks. There is a captivating view of the little island of Su Pallosu that dominates the scene and of the tip of Santa Caterina di Pittinuri to the north. 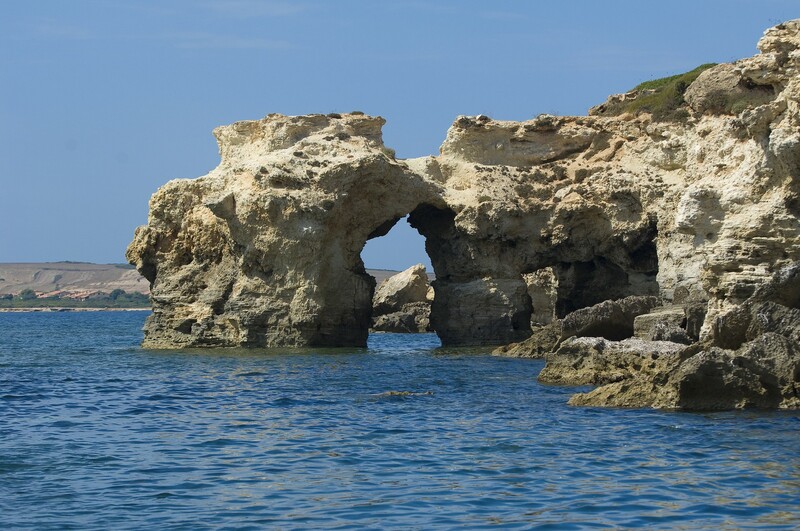 In the western part, you can admire beautiful rocks sculpted by the sea over the millennia. To the east, the beach widens slightly. Near the beach, you will find parking, a restaurant and a bar. 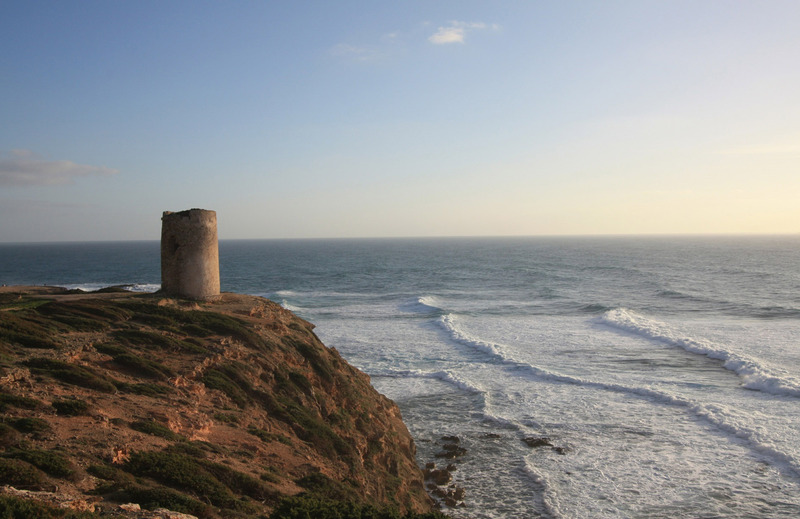 It is the sandy shore furthest to the north of Capo Mannu, beyond which there is the beach of Sa Rocca Tunda and the little coves of Scal'e Sali. 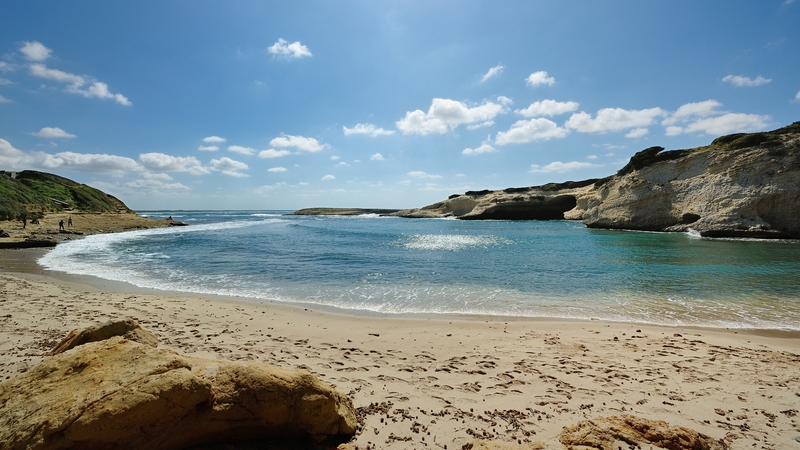 Further south, you will find the very unusual and sheltered beach of Sa Mesa Longa and at the base of the cape there are the beaches of Mandriola, Putzu Idu and S'Arena Scoada, the other pearls of San Vero Milis.